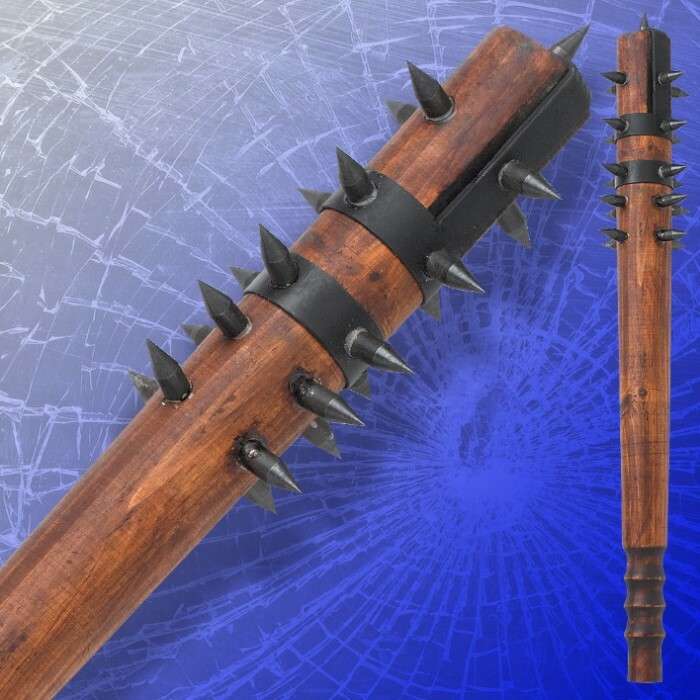 This historic spiked club is for the barbarian in you! Originally used for silent trench raids, the solid hardwood club is 21 3/4" long. 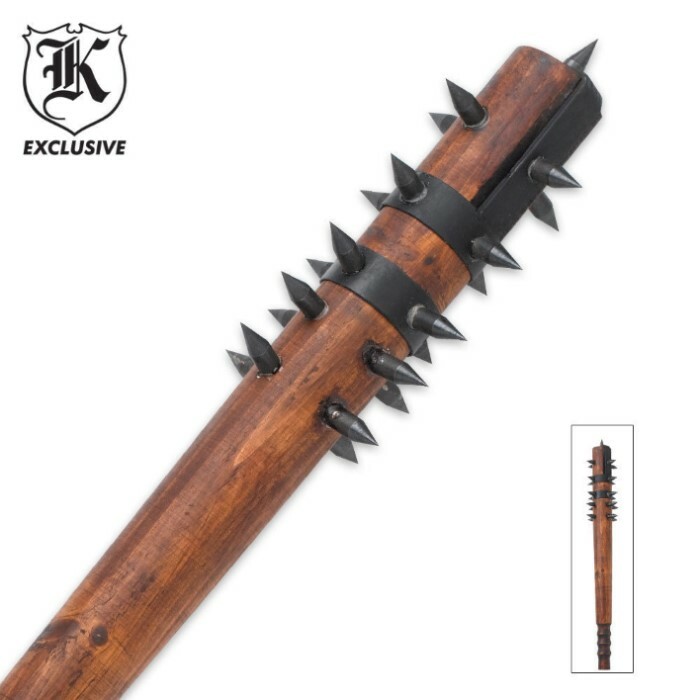 Equipped with a sculpted handle for tight grip and over 20 piercing metal spikes.